So what is the difference between Lean & Six Sigma? So what actually do we mean by Lean Six Sigma? I am going to deal with what I consider to be the easiest one first – Six Sigma. Six Sigma is an approach to improve quality. 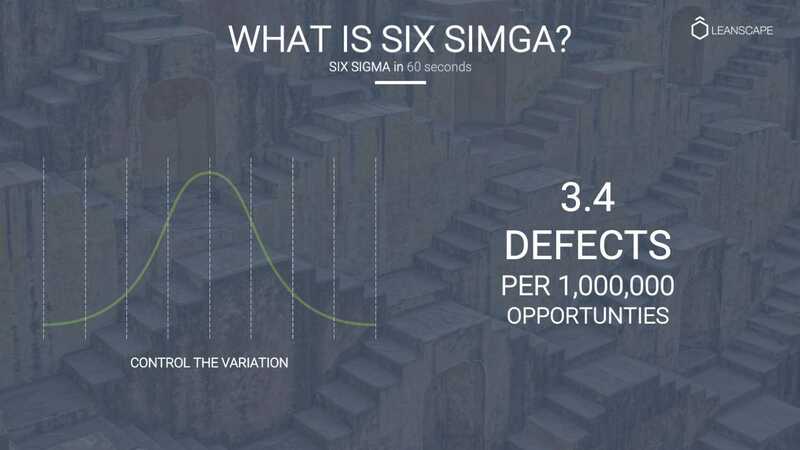 In simple mathematical terms, six sigma literally means to have a quality level where a process produces only 3.4 defects per 1,000,000 opportunities. Six Sigma is therefore focused on variation in processes, controlling that variation and trying to ensure as few defects are produced as possible. The goal is to get the same outcome as often as possible by ensuring the inputs to that process are as planned. (Y=f(x) for the geeks out there). So Six Sigma is more heavily statistically driven and its public enemy number one is too much variation. In other terms, there is absolutely no point in having the best product if customers are never going to get a working version. Imagine being the best rental car company in the world but every time a customer turns up, there are no cars available. What about the best mobile phone on the market but core components continually fail. If you are into your cars, think Alfa Ramero – everyone loves the designs, but they are known to be seriously unreliable. In a nutshell, Six Sigma is a way to measure, control and improve the variation of a process. It’s about delivering the product to the right specifications. It’s making sure the customer get the same tasting Starbucks coffee every morning as the right mixture of milk and coffee (and caramel for some) have been mixed together at exactly the right temperature. If Six Sigma is about delivering the product or service the customer wants to the right specifications, then crudely (and I am sure many of the lean community will complain at this), then Lean’s job is to get that product to you in the most efficient manner possible when you want it. Lean’s focus in our Starbucks example would be on how to get that coffee, and the cup, and the pastry into the store just-in-time so that within say 3 mins of placing your order you can pick it up and enjoy. And Lean is about finding the most efficient way to do this. Let’s take another great personal example I noticed last time I bought a Subway sandwich. Subway’s Six Sigma program makes sure you get the sandwich built within your specifications. Lean is there to get your sandwich built quickly and efficiently, without waste and to order. Have you ever noticed that the 35 seconds it takes to cut open the bread of choice and add the first layer of selected meat and cheese, is the same time it takes to toast the cheese in their grill/oven, which just so happens to be the same time it takes to add the salad to the sandwich, which just so happens to be basically the same time it takes to wrap, cut, package and pay (well at least that’s what happened last time I visited a Subway). In the forward to the Toyota Production System by Taiichi Ohno – he asked Ohno ..
“Was is Toyota doing now”. If six sigma is about getting the quality of the product or part to the right standard at each unique step by reducing the variation, then Lean is about how to reduce the waste between the order being placed and the cash being received across the entire business. 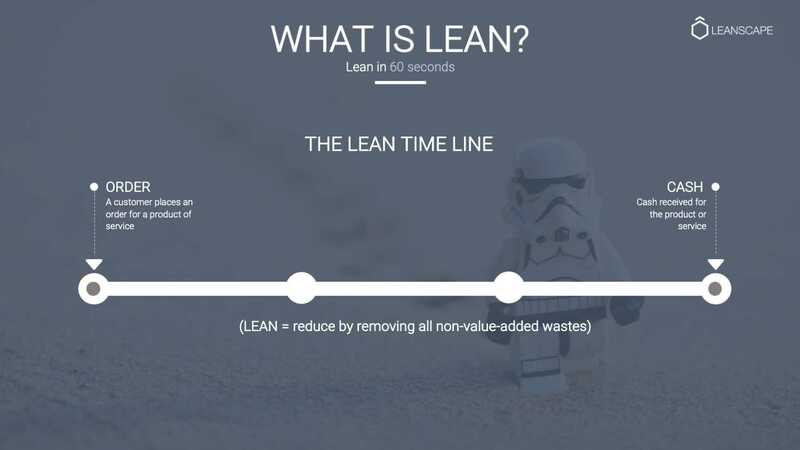 While the Lean approach to process thinking and waste elimination are often as the key features, Lean is much deeper than simply pure process improvement. Lean is a way to run, operate and manage an entire company from employee development, leadership through to strategy planning an execution.